The earliest evidence of filmmaking in China, by Chinese people, dates to 1905, when a photographer named Ren Jingfeng made a film of a Beijing opera, DingJun Mountain (1). Thus, the China Film Archive named 2005 the Chinese Centennial Film Year. It was in honour of this anniversary that the Film Society of Lincoln Center programmed and presented A Centenary of Chinese Cinema. The showcase included work from as early as 1922 (a short, Cheng the Fruit Seller [Zhi guo yuan] [Zhang Shichuan], said to be the earliest extant complete Chinese film) and most decades thereafter, through to the “Sixth Generation” filmmakers of today. The changes that took place in China during those same hundred years are staggering to consider and warrant a brief review. In 1905, the country was being “governed” by its final dynasty, the Qings of Manchuria. In 1911, Sun Yat Sen formed a republic (the Nationalists) that was quickly overtaken by warlords and subsequently by the self-serving Chang Kai Shek and his Kuomintang (KMT). 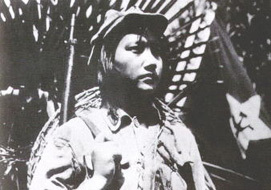 After 20 years of civil war, and a bloody and ruthless invasion by Japan, Mao Zedong and the Red Army took control (1949), Chang fled to Taiwan, and the People’s Republic of China (PRC) was born. Under the PRC, the people lived through Mao’s Great Leap Forward (1958–62), the Gang of Four’s Cultural Revolution (1966–76) and the economic reforms of Deng Xiaopeng (1980s). Now, after existing in near total isolation for 50 years, China has embraced a form of capitalism, and the world is rushing to her door, eager to sell a billion units of its wares. All of these events and realities are recorded and reflected, examined and distorted, glorified and dismissed in celluloid – a picture of history in the making. Lincoln Center’s program opened with Shen nu (The Goddess) (Wu Yonggang, 1934), the silent masterpiece starring legendary Chinese actress Ruan Lingyu. Long considered one of the greatest Chinese films ever made, the film is remarkable in its portrayal of its heroine, a prostitute and mother, trying at all costs to give her son a life better than hers, and foiled at every turn by the usual suspects: a gangster pimp, poverty and the judgment of those around her. Even today, women heroines are frequently used in Chinese filmmaking as metaphors for China and perhaps this is one of the earliest such evocations. The Middle Kingdom is depicted as she was at the turn of the 20th century: exploited, seemingly powerless against stronger forces, her only hope lying in her complete destruction bringing about resurrection in the next generation. Another silent film, Chun can (Spring Silkworms) (Cheng Bugao, 1933), portrays the life of a family of silk cultivators. Based on a novel by Mao Dun, the film shows the hardship Chinese peasants faced in the early part of the century, when foreign interests plundered the country’s economy. So many concessions had been granted to (mainly American, British and Japanese) interests, that the cost of bringing goods to market was more than 100 percent higher for Chinese producers than for foreign producers (2). The narrative is interspersed with compelling documentary-like footage of the process of cultivating silkworms. 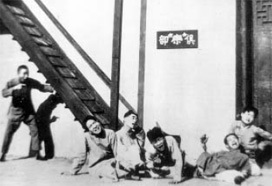 One of the first films of the left-wing film movement in Shanghai, Spring Silkworms heralded a Chinese movement of filmmakers who would use cinema as a medium for social change. 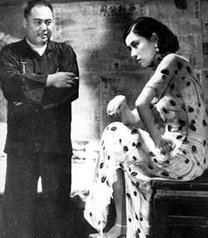 The first film in the program made under the People’s Republic of China, Wuya yu maque (Crows and Sparrows) (Shen Fu, 1948), was actually begun under the KMT Nationalist government, finished during the battle of Shanghai, and premiered during the first New Year celebration of the PRC. Continuing the (by then) established mode of the Shanghai leftist cinema, Crows and Sparrows gives us just that: a group of basically decent folk (a teacher and his family, a merchant and his, and a proof-reader whose son is fighting in the Red Army), all being oppressed by a KMT official and his wife who have taken over the Shanghai apartment house they call home. Described by event programmers as “one of the best-loved Chinese films of all time”, it is easy to see why: the acting is superb (especially Zhao Dan as the merchant); it is beautifully shot; and while the message is clear, it is full of the humour that is so much a part of Chinese culture – and that would all too quickly evaporate from Chinese movies, not to be seen again for 35 years. From the mid-’50s through the early-’60s, many films based on novels of the May Fourth Generation were produced. These writers sought to embrace modernity in order to transform China. From these works Lincoln Center presented Jia (Family) (Chen Xihe and Ye Ming, 1957), based on a novel by Ba Jin, one of China’s most important writers of the 20th century who recently died at the age of 100; and Zao chun er yue (Early Spring in February) (Tieli Xie, 1963), based on a novel by Rou Shi, one of the Five Martyrs who were executed by the KMT in February of 1931. Set after the end of the last (Qing) dynasty, Family tells the story of the Gaos, a traditional feudal family, headed by its grandfather, who controls every aspect of the members’ (including the servants) lives. As “the times they are a changing”, old Gao has trouble keeping hold of his grandsons, especially the youngest, who is in love with one of the family’s maids (she kills herself rather than be married off to one Grandfather Gao’s cronies) and publishes an underground magazine devoted to social change. The story offers hope in breaking with tradition and embracing progress, a typical theme of May Fourth writers. In Early Spring in February we begin to see the transformation of women characters from mere victims of their particular patriarchy into active participants in their own lives as the metaphor for China escaping foreign oppression and forging her own destiny. It tells the story of a young teacher hoping to escape the turmoil of the times in a quiet country town, only to find the microcosm spurring him onto the greater battle facing China at large: again, the need to escape the chains of feudalism. Although here our protagonist is a man, his love interest is very much his equal and the other female character represents the suffering of all women in an unjust society badly in need of reform. Two works by enduring director Xie Jin were included: Hongse nianzi jun (The Red Detachment of Women) (1961) and Tianyun shan chuan qi (The Legend of Tianyun Mountain) (1980). These selections represent an important period of Chinese 20th century history and are certainly representative of the changes that occurred during those almost 20 years. The Red Detachment of Women takes us firmly into PRC territory, telling the story of a slave girl who, with the help of a Red Army soldier, escapes her brutal master and joins a unit of women soldiers organised by the Red Army to overthrow him. Here we have a brave heroine, her rage channelled to the communist cause, becoming fully realised in giving herself completely over to the needs of the whole. Although she is gently guided by her lover (who is her superior officer) she finds these truths inside of her and after his death, the strength to keep fighting and to lead. The new woman of China (and China herself) is truly born. 19 years later, having survived the Cultural Revolution, Xie Jin gave us The Legend of Tianyun Mountain, an early film of a genre often referred to as Scar Literature (works that portrayed the horrors of the Cultural Revolution). The film tells the story of a young woman who chooses self-interest over her lover when he is denounced as a rightist. She marries a party member and turns her back on her lover and goes on to lead a comfortable life, only to find herself years later working with her husband to investigate cases of injustice carried out in the decade-long fervour. When a young colleague brings her old lover’s case to her attention, she is forced to rethink the choices she made and to stand up to her husband and to herself. Here, Xie seems to scream at us: “The party replaced the patriarch! Nothing really changed!” Our heroine is so utterly compromised and the forces against her so strong, we can’t hope to see her find happiness, only to attempt to right her wrongs. Damage done. Her young colleague, who has seen all but has no blood on her hands, stands poised to carry on. The filmmakers that carried on after the Cultural Revolution are known as the Fifth Generation, so called because they were the fifth group to graduate from the Beijing Film Academy. They were represented in the showcase by Huang tudi (Yellow Earth) (1984), directed by Chen Kaige and shot by Zhang Yimou, and Zhang’s own Huozhe (To Live) (1994). The contribution of this group of filmmakers, and Zhang Yimou in particular, to the world of cinema, cannot be overstated. This was my first viewing of Yellow Earth and it is clear why the world immediately took notice when it premiered at the Hong Kong Film Festival: Zhang’s signature style is all over it in his use of allegory, its subtle questioning of certainties, and in its sheer beauty. Ten years and many films later, Zhang gave us To Live, which follows the life of one family from the ‘40s through the ‘70s. We start out with a young couple expecting their first child. They are wealthy and could be happy, but the husband is a gambler and loses the family estate. This later proves to be a good thing as they are not considered of the landlord class when the PRC issues class identities. We follow them through the war and collectivisation, through private and public tragedies, and in the end, leave them alone with their grandson, both of their children now dead. One of Zhang’s last films that starred Gong Li, their collaboration was by then assured and steady and her performance is one of her best. Not so much an indictment as in many “Scar works”, To Live is a reflection on a period of time, on a particular place in time, and on, as the title suggests, living through events and eras that are completely out of an individual’s control. The group of young filmmakers working in China today are known as the “Sixth Generation”, marked by a strong departure from their immediate predecessors in terms of style and subject matter. Their stories tend to be urban- and youth-centered. Their style is much more influenced by the Taiwanese New Wave Cinema – full of long shots, long takes and indirect narratives, in the true spirit of post-modern disillusionment, they would never deign to give us something as obvious as beauty. 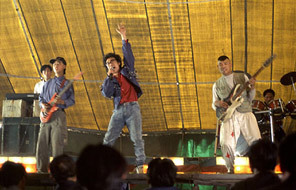 The best-known film of the best-known of these directors, Zhantai (Platform) (2000) by Jia Zhang-ke, was included in the program. Set in the years between 1979 and 1989, the film follows a group of actors, as they make the transition from a cultural commune presenting political operas to a shaggy entrepreneurial venture performing rock music. Jia’s work embodies the spirit of a generation that saw the idealism of the past so easily give way to the power of commerce, and reacted with more than a small amount of cynicism. This is familiar territory to the same generation of Americans (the children of the flower children), and is perhaps the reason why these films have resonated so strongly with critics in the western world. Jia’s films leave images in the mind of distance, both literal and figurative, as he shows us the most intimate details of his characters lives, and makes of think of issues much larger. Watching the evolution of cinema as it occurred in the context of a culture other than one’s own is an illuminating experience in itself, on the nature of the medium. To look at the films of China as an American is particularly challenging as it forces a rethinking of our dearly held certainties. Lincoln Center deserves much credit for having produced this event and for the courage they showed in their selections. Both politically and aesthetically these films have a lot to show us and it is important for us to see them. The results of the events of the past 100 years in China will have to be decided by the next 100 – and by the movies that will stand as the cultural record of the time. For more on opera films see Mary Farquhar and Chris Berry, Shadow Opera, Chinese-Language Film, University of Hawaii Press, Honolulu, 2005. Jacques Gernet, A History of Chinese Civilization, Cambridge University Press, Cambridge, 1982. Liza Case is a writer/producer in New York. She co-founded and edited the New York Independent Film Monitor for its nine year run. She has written and produced several short films, including Destiny, which was based on her one-act play, and can be seen on PBS’s Emmy Award-winning The Short List, and on IFC.